There’s been a lot of new Star Wars collectables coming on to the market in recent weeks and demand for these sought after items is higher than ever. 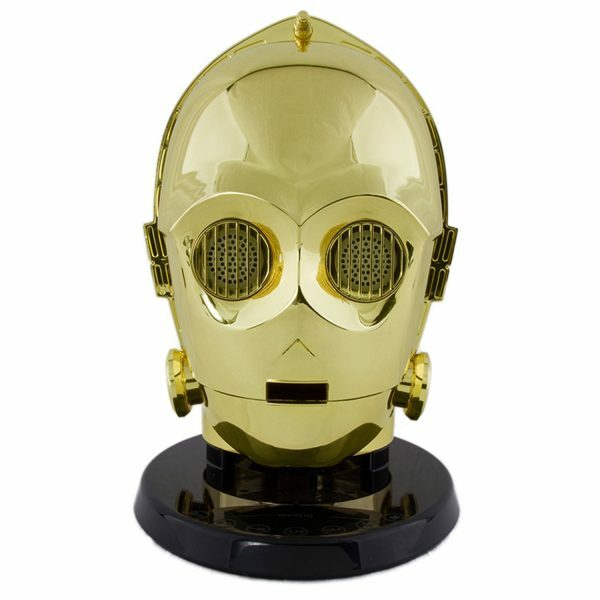 I’m among one of the lucky ones who has been given a chance to sample a special new speaker being sold by ACW in the shape of C-3PO’s head. This quirky item really made an impression on me! When I first looked at the box, I thought it would actually be a lot larger than it was. It’s relatively small and it’s wrapped up in a lot of protective cardboard packaging. In the box was the speaker itself, a protective black cloth bag for use when transporting the speaker, plug adaptors for your region and others and a pair of white cotton gloves for use when handling the speaker. After all, it’s electro-plated and can scratch and damage easily so these gloves are essential. This speaker pairs easily with smartphones. One depression of the Bluetooth button was enough to connect with a phone being held close to the speaker. This is probably the easiest pairing I’ve ever experienced and that’s no exaggeration. You can also pair two ACW speakers to one smartphone or tablet, according to the manual, but I only had one to try so I can’t comment on how successful that would be. 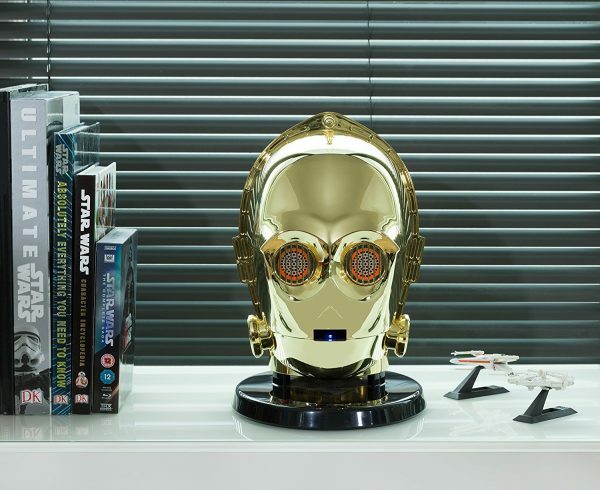 Once the speaker is paired, C-3PO’s eyes glow, which is really cool and I was particularly amused when he said, “I do believe they think I am some sort of God,” each time he paired with a new device. I’ve just realised I am referring to the speaker as “he” rather than “it” which feels quite natural since he speaks and resembles the character so I’ll continue doing this! It does feel like the speaker is alive, since his eyes glow, he speaks and when the battery is draining he says, “this is madness” every thirty seconds and his eyes blink. There are different ways to power this speaker. You can use the batter which recharges or plug it into the mains. There are also different ways you can connect this speaker to devices. You don’t have to use the Bluetooth technology I’ve already spoken about and can connect using a USB connection or using the aux cable. Apart from the quirkiness which really amused me, there are two other things I like about this speaker. The first is the sound quality, which was really good. Before trying it, I had viewed this speaker as a novelty item and assumed that the quality would be second rate but it’s actually quite good. The second thing I liked was the soft-touch buttons. They only need a light tap. It was all going really well and I enjoyed using this speaker until I got a phone call. The instructions clearly stated that the microphone LED would turn orange, the eyes would blink three times and repeat until the call is accepted or rejected, which is fine but what happens if the person calling hangs up before you can accept or reject? Well, my experience was that the speaker had no idea what to do with itself. It acted like the phone was still ringing and I couldn’t get the music to play again because it still believed I was on a call. This is frustrating, to say the least. 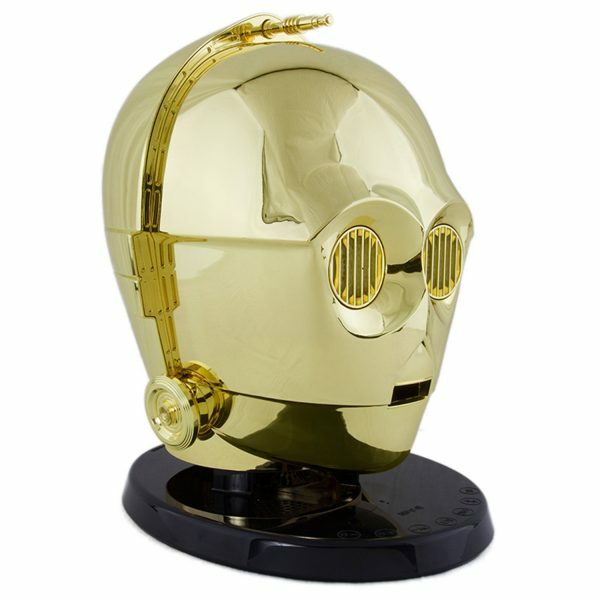 To sum up, this is a gadget that has some really great quirks and if you’re a Star Wars collector, it’s going to look great with your collection, but it has a really irritating issue surrounding calls that don’t get answered that would need to be addressed before it becomes something more impressive than a collector’s item. 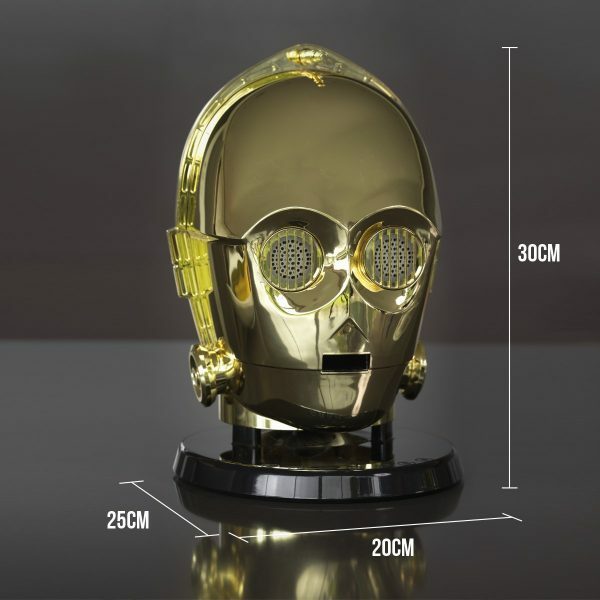 If you would like to read more about the ACW C-3PO Speaker you can check it out on Amazon or you can view more information on the ACW website. 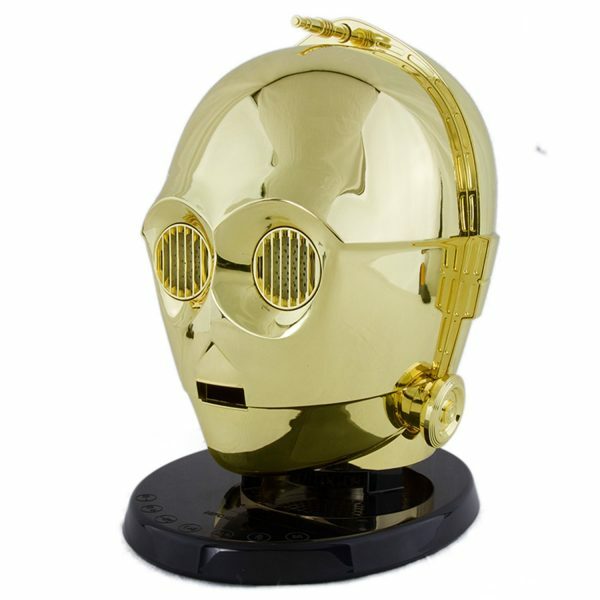 Have you purchased any special Star Wars collectables yet?